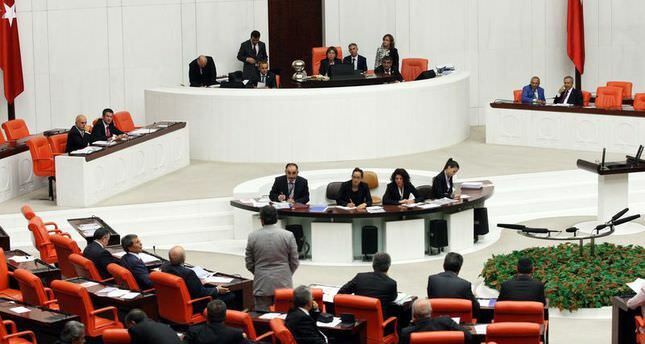 Turkey's new reconciliation package, which will address a number of crucial issues to put an end to the country's Kurdish issue, is expected to be submitted to the Turkish Parliament as a law package containing four main sections by the end of January. The measures aim to resolve the problems of Turkey's Kurdish minorities and also address a number of issues faced by the Alevi community in the country. They will be introduced when the proposal is enacted. The introduction of the new reconciliation package, which will include legal arrangements, regulation of transparency and local administrations, as well as the Alevi initiative, will be the first concrete steps taken in the New Year. The move comes following the joint agreement made by the Turkish government and the Peoples' Democratic Party's (HDP) Imralı committee to speed up and finalize the reconciliation process. Lawyer Ali İhsan Şahin, the president of Universal Alevi Bektaşi Association, has stated that the proposed reforms are a positive development towards addressing the issues faced by Alevis but noted that the government must be careful when choosing who should represent the Alevis. He suggested that an institution similar to the Presidency of Religious Affairs should be established for the Alevis, and this institution should be composed of Alevis. "Alevis know the grievances of Alevis better than anyone could ever know" Şahin said, noting that the institution should be affiliated with the Prime Minister's Office the same way the Presidency of Religious Affairs is. Şahin also cautioned that the Alevi community is not unified and differ on many issues, therefore the government should make careful decisions when choosing Alevi representatives as he claimed some of them are in favor of driving the issue into a deadlock rather than resolving it. "The government should exclude so-called Alevi leaders who exploit Alevism for the sake of their political interests" Şahin said. One of the most important features of the package is that it will outline the procedures for the disarmament of PKK militants and their return to Turkey. Accordingly, necessary amendments will be made to respective articles in the Turkish Penal Code and the Anti-Terror Law. The criteria for being a member of a terrorist organization will be explicitly outlined. It was reported that the article addressing propaganda activities which do not incite crowds to act violently and take up arms will be amended so that it no longer includes these activities under the scope of a criminal act. According to reports, the new reconciliation package will especially focus on finalizing the legal infrastructure for the return of PKK militants "to the country, to life and politics." A new formula will accordingly be prepared to speed up the disarmament process and improve a series of regulations relating to freedom of thought and expression in line with the European Human Rights Court. Article 314 of the Turkish Penal Code, which outlines the criteria for being a member of an armed organization, will be rearranged while it was noted that the government does not anticipate passing a general amnesty law. Another feature of the new package is that it will focus on strengthening the prerogatives of local administrations in terms of administrative and financial autonomy. The government has recently announced a reconciliation process committee will be established. The duties of this committee include establishing the strategies and policies which will be utilized by the government, while keeping an eye on the procedures, evaluating them and establishing the necessary coordination between relevant institutions and organizations. It will also determine the responsible institutions and evaluate draft reports, take necessary precautions and make decisions on a number of issues. More importantly, a series of Inter-Committee Follow up and Coordination Commissions will be established with the participation of senior representatives from relevant institutions and these commissions are expected to prepare reports and action plans to be presented to the reconciliation committee. Likewise, these commissions will be entitled to cooperate with relevant non-governmental organizations, local administrations and vocational institutions whereby necessary. The AK Party government has initiated the reconciliation process to bring a permanent solution to the country's 30-year old conflict between the outlawed PKK and the Armed Forces and has put an end to violence through a series of democratic reforms and economic investments to boost stability in the region. The Peoples' Democratic Party (HDP) has consistently stated that they are determined to take an active role in bringing an end to the country's 30-year old Kurdish issue. HDP DeputySırrı Süreyya Önder has stated that crises have been left behind and a productive period is ahead of the reconciliation process. The government and the HDP anticipate reaching a final resolution to Turkey's Kurdish issue in 2015, and it remains one of their top priorities.